This enormous adrenaline slide will get your heart pumping even faster and you will never forget the view once you have reached the top. 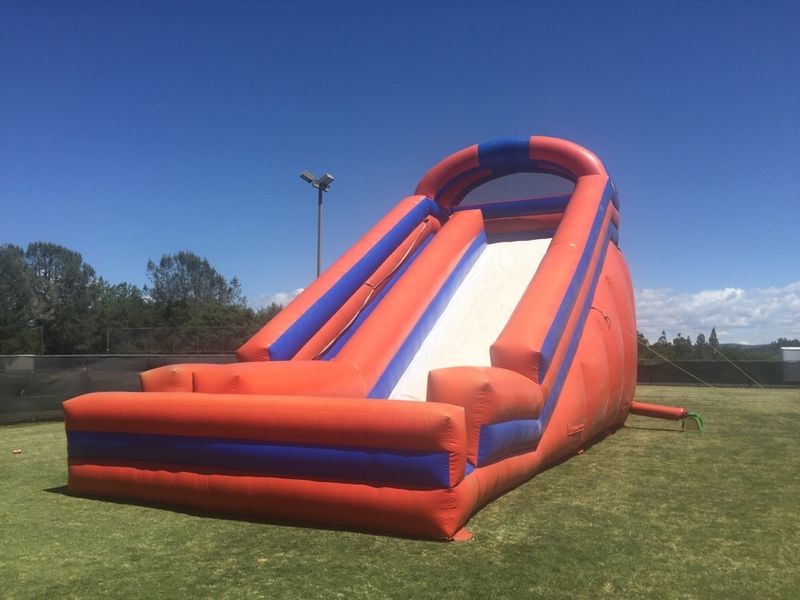 This 28 foot tall Adrenaline slide is an absolute must have for any large event. Adults and kids of all ages love this giant slide and will always remember the fun that they had. Get a couple of your friends together and race down the adrenaline slide to see who can make it the fastest. Remember that we always use safety first, so no more than 4 people on the slide at once. This is the season’s favorite crowd pleaser. Front entrance, safe for all ages. However, we do recommend that an adult accompany a smaller child.